“Eureka! There’s gold in them thar hills.” That was the cry of the 49ers who came to California in the 1800s looking to score a fortune in the gold rush. Now up in the hills of Marin and scattered throughout the state, is gold of different kind. It still of the land, but in the form of milk and dairy products. The call of gold lured me and Wally to load up our wagon and head up north to those very same hills in March to attend and help with the California Artisan Cheese Festival which was held in Petaluma from March 22nd-24th. The weekend was filled with tours of local cheese makers’ facilities and farms, seminars (beer and cheese at 9:30 am anyone? ), tastings, meals, and a Marketplace on Sunday. We attended our first festival last year and immediately became members of the Guild which gave us the opportunity to help set up and run their booth at the Marketplace. Having to be there at 9 am was difficult, but talking about the work the Guild does and the classes they offer in conjunction with the College of Marin was gratifying. Since we teach classes and hold tastings in our shop, we like to get as much insight as we can from the Cheesemaker perspective to share with our students. 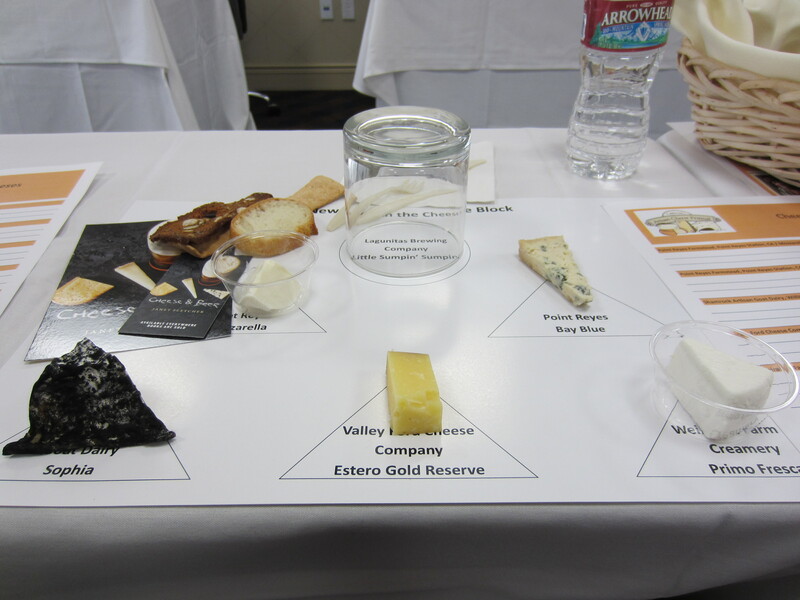 This lead us to the New Kids on the Block Seminar early Saturday where we got to listen to and ask questions of four Cheesemakers who were bringing new cheese to the market. They spoke frankly about their development process and the challenges in introducing a new cheese to the American public. 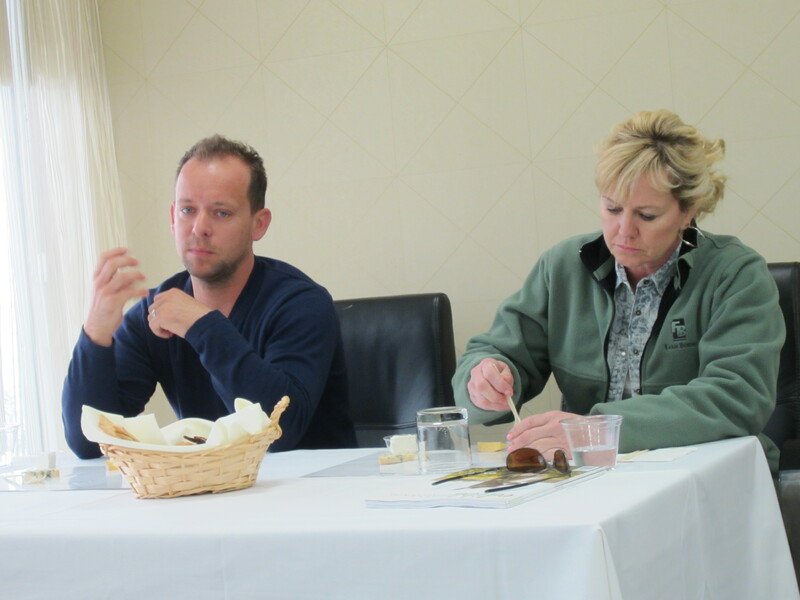 Janet Fletcher of the San Francisco Chronicle lead the discussion with the cheesemakers and asked pointed questions to keep the info flowing. One of our favorite new cheeses is Point Reyes Bay Blue. Cuba, the cheesemaker for Point Reyes, talked about how he has refined this recipe for years before releasing it. While visiting Point Reyes two yeas ago we had the opportunity to try it in its first stages! Patience pays off. The new Bay Blue is astounding and already winning awards. But it took over two years to get it right! That is a lot of time and effort. 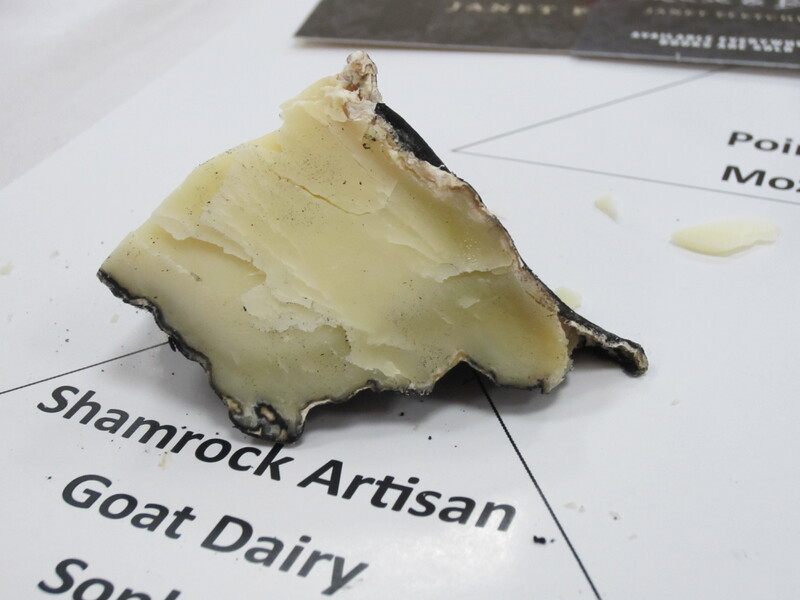 We felt fortunate to be able to experience its evolution, it gave us terrific insight into the process of taking a pretty good cheese and turning it into a great one. Luckily for our Fancifull Customers we have an in with the dairy, so they shipped us a wheel even though it isn’t in wide distribution yet. Nice to have friends in high places. Toward the end of the seminar, our moderator, Janet Fletcher, let us know that she had just released her latest book: Cheese and Beer . I bought one immediately (and had her sign it). It has lots of information that should contribute to some tasty classes at Fancifull in the near future. At lunch, we shared our table with the folks from Cypress Grove, another of our favorite cheese companies. Wally would eat Humboldt Fog every morning if he could and I have to say the same about Midnight Moon. 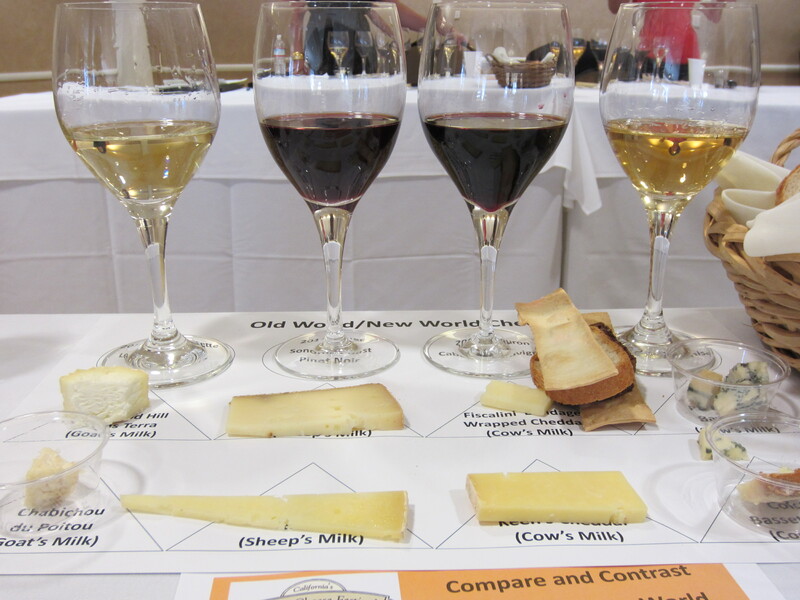 The afternoon held a wine pairing seminar with old world and new world cheese and wine. Old World basically means Europe while new world speaks to the U.S. and Australia. The class was very similar to what we offer in our classes at Fancifull but it was fun to be a student rather than the teacher. 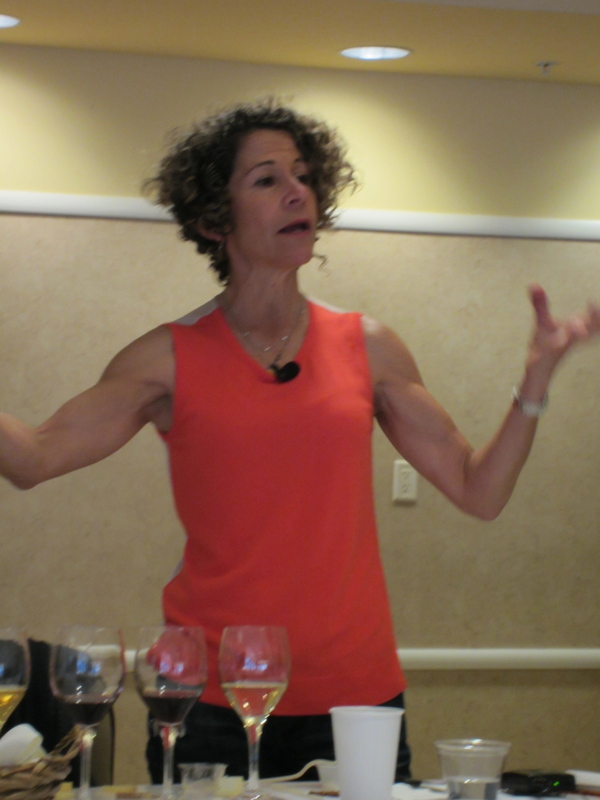 There is always so much to learn and Laura Werlin, author of several books on cheese, was a terrific tour guide. This cheesy weekend left us brimming with ideas and new product to bring into our shop. There is just so much great cheese out there, how do we sell it all? Answer: One wedge at a time.